Age of Adventure features 50 full-colour photographic images to challenge stereotypes of ‘the elderly’, enhance life-direction, reinforce positive aspects – such as gained wisdom – and validate older people’s choices. There are images to make you laugh, reflect, celebrate, and acknowledge our communities in all their diversity. 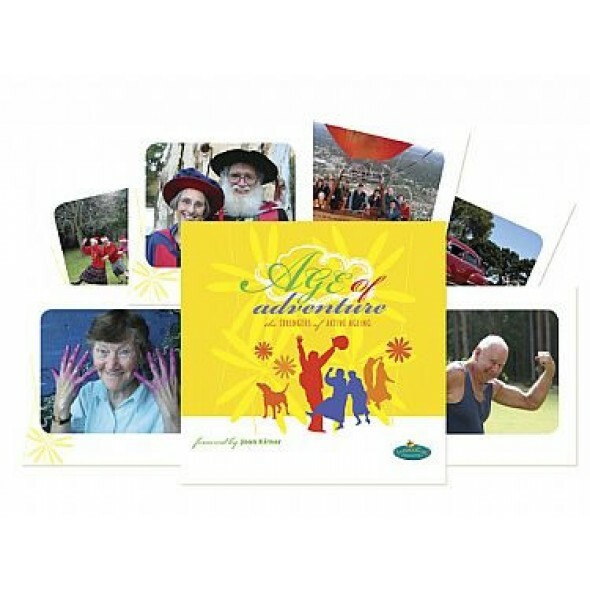 Older and younger generations alike can use Age of Adventure to explore possibilities and set goals for the future.